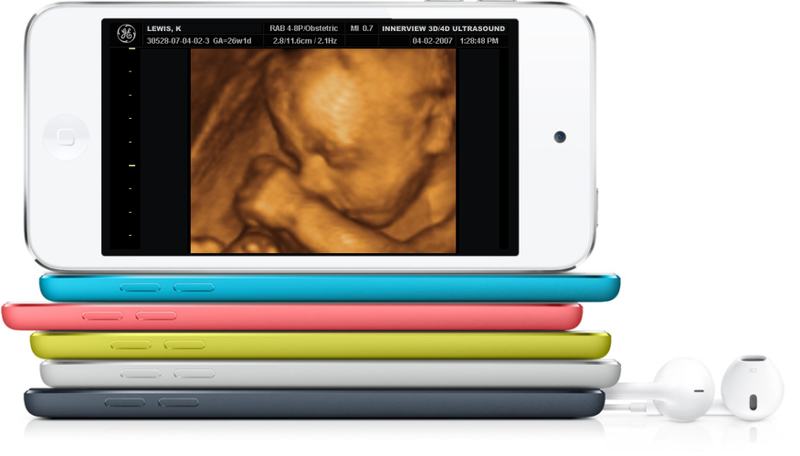 Your 3D ultrasound memories - exported to iPhone, iPad, YouTube, or your Android devices. You've seen your baby's face, and you've watched her smile. Now you can relive those breathtaking moments again and again on all of your mobile devices. InnerView Ultrasound is constantly devising innovative ways for parents to share their amazing 3D/4D ultrasound experience with others. And we think that there is nothing more impressive than sharing your 4D ultrasound memories - anytime, anywhere. The cost is only an additional $20 added to your package price. You will receive a second copy of your DVD as well as a CD with all of the recoded files. Simply drop them into iTunes, import them directly to your YouTube account, or sync them to your Android devices. Now you can share those amazing 4D ultrasound memories with your friends and family - anytime, anywhere. Please call 610-408-9100 for more information about this service as well as other available export formats.